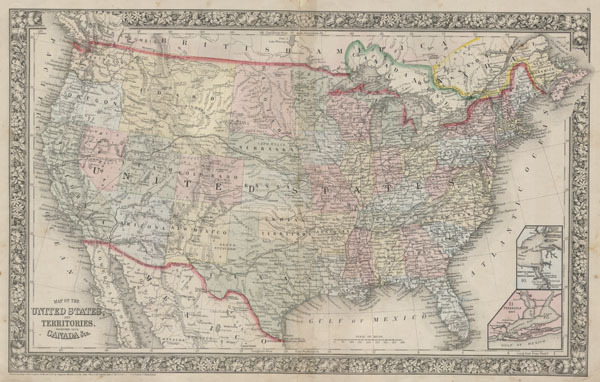 Map of the United States, and Territories, together with Canada & c.
Very good condition. Minor discoloration and verso reinvorcement along original centerfold. Blank on verso. New York Public Library, Map Division, 1510796.